29 year-old Michaela Huntington from Braintree, Essex with John Meadows and Kathy Lankshear’s 6 year-old chestnut mare Alegro Z triumphantly took the Equilibrium Products Discovery Championship held at the Alexanders Horseboxes British Showjumping Scope Festival on Sunday 24th August. Michaela and Alegro Z were victorious after posting a fast double clear in 27.28 seconds. 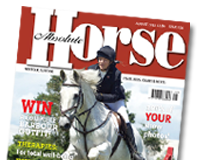 “We only travelled up for the day, but the three and a half hour journey was worth it, I’ll fly home on cloud nine,” said Michaela, who has ridden the six-year-old, a 2014 Hickstead novice finalist, since November. 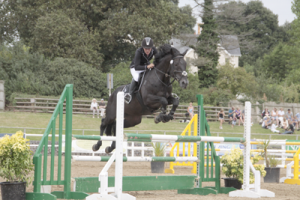 Essex rider Melissa Eagles made it a double at the recent Wales & West Senior Amateur Championships on Friday 8th to Sunday 10th August when finishing equal first in the 1.00cms class on board Knockrath Spring and as the outright winner of the 70cms class with Tara III. Equalling Melissa in the 1.00m was Laura Davies from Rhondda with Bolgoednewydd Toy Faere while Essex was once again represented by Toni Evans and Hermione V who finished third. The largest class, with 25 double clears, was the 90cms; the best of these was Surrey’s Sam Holmes with Sea Breeze. In second place was Lauren Hopes (Berkshire) and Rox Are The Business with Scarlett Baker from Essex and Matanique in third. The Championships are normally held over two rounds but the final day’s classes were cancelled due to torrential rain and organisers took the decision to allow results from Heat 1 to stand as the Championships final. 16 year-old Annabelle Molyneux from Ely, Cambridgeshire on board her mother Anne’s 11 year-old bay gelding Wammes R took the victory in the Horse 1.00m Club Championship which was held as part of the Southern Club Championships at The College Equestrian Centre, Keysoe in Bedfordshire and took place last weekend 9th-10th August. Four eligible combinations came forward to contest this final, Annabelle and Wammes R, put in two foot perfect rounds and stopped the clock in 36.92 seconds to ensure the victory was theirs. 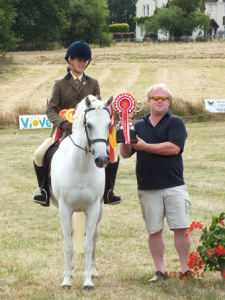 Caitlin Saykal aged 14 from Bayfordbury, Hertfordshire took the win in the Horse 0.80cm Championship with her father Hasan’s skewbald gelding Mr Tomnus. at the Southern Club Championships which washeld at The College Equestrian Centre, Keysoe in Bedfordshire and took place 9th – 10th August. Eight combinations came forward to compete in this final and Caitlin and Mr Tomnus, put in a super quick clear in a time of 24.42 to ensure that the victory was theirs. 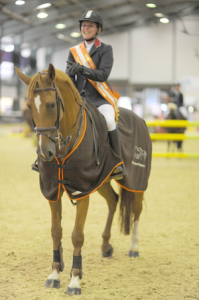 Cambridgeshire’s Young Showjumper Celine Norgate wins the Pony 80cm Southern Club Championships. 16 year-old Celine Norgate from Wisbech, Cambridgeshire on board her mother Deborah’s 10 year-old grey gelding Lightning Bolt took the victory in the 80cm pony club championship which was held as part of the Southern Club Championships at The College Equestrian Centre, Keysoe in Bedfordshire and took place 9th– 10th August 2014. Seven eligible combinations came forward and the combination of Celine and Lightning Bolt jumped a super quick clear in a time of 29.86 to ensure the victory was theirs. 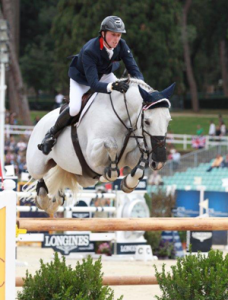 British Showjumping has announce that Ben Maher MBE from Bishop’s Stortford, Hertfordshire has been selected for the GB Jumping squad for the FEI Alltech World Equestrian Games 2014 which will be held in Normandy, France. Ben picked up back to back gold medals from the London 2012 Olympic games and the 2013 European Championships in Herning, Denmark. 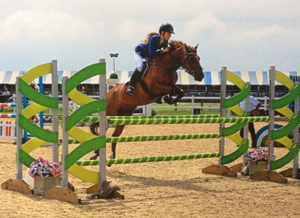 The NAF Shining Star for July 2014 has been awarded to young showjumper Millie Dickinson, aged 15 from Harpenden, Hertfordshire. 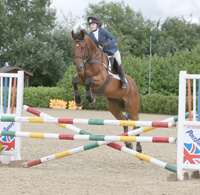 Millie is a dedicated and popular member of the British Showjumping Central Junior Academy and she was put forward for the NAF Shining Star by Lead Coach, Mandy McGlynn. Mandy had the following to say about her nominee “Millie has been a member of the academy for a number of years now and she is a regular attendee at camps, team competitions and training sessions. 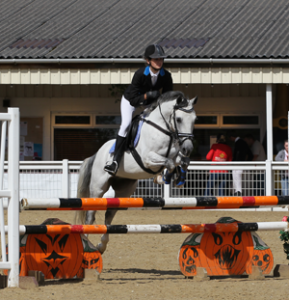 This year, Millie has really been concentrating on her showjumping and as a result, has qualified for numerous classes at the upcoming Scope Festival, including the Pony Discovery Championship, Pony Newcomers Masters and the Pony Restricted Rider 1.00m Championship. 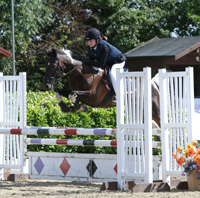 Millie has been a member of British Showjumping since February 2010 and during that time, she has gained her 1*, 2*, 3* and 4* of the NAF Pony Five Star Performance Awards Programme and she is currently working towards her 5*. Horse of the Year Show (HOYS) wishes to announce that following an investigation into the outcome of the Cuddy Supreme In-Hand Championship qualifier at Kent County Show, and despite the rumours on social media regarding the qualification at Kent County Show, the existing qualification of Lemonshill Falcon through to the Championship at HOYS will stand. The HOYS organisers are not wholly satisfied that the spirit of the Cuddy Supreme In-Hand was correctly administered and this incident has brought to light some anomalies on how competitors and exhibits qualify for this prestigious Championship. Following this, Grandstand Media Ltd, HOYS’ organiser, will be reviewing and redefining the rules around the Cuddy Supreme In-Hand Championship in order to maintain its integrity for the future. Information on the Cuddy Supreme In-Hand Championship and its qualifiers for the 2015 season will be released later on this year.